‘Budget’ ‘cheap’ ‘low end’ these are words which don’t exactly inspire the imagination. They often mean a bit crap, throw away and useless. However, DhB has found itself in these brackets and has got a bit of a bad rep because of it. It’s been a bit of a mute conversation over the past couple of years. The thought process has generally been ‘if you want to be taken seriously out on the bike, you’ve got to pay for the top dollar brands.’ It’s easy to fall in to that mind set with the likes of Rapha offering beautiful kit which performs amazingly well but is super pricey. Castelli offer glorious Italian style and have racing pedigree coursing through their stitching, again this is too pricey for some. What about the start out cyclist, the one who wants to be involved with lycra but doesn’t want to spend all their money on bike kit. 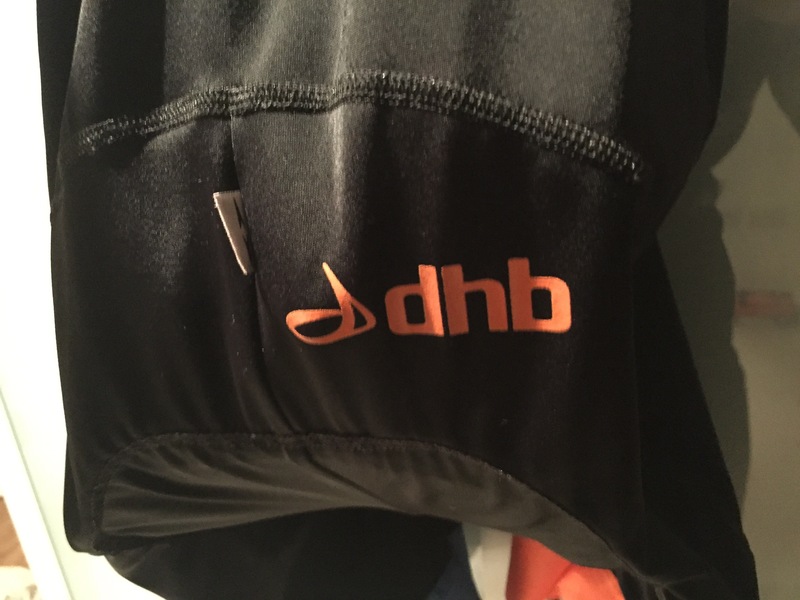 That is where DhB have come in with this years Blok kit. A few years ago you could label them a bit crap, they were saggy around the chamois and uncomfortable for long rides. They just didn’t offer the padding. Now though, with the new Blok kit this year, DhB has certainly laid a few demons to rest with good looking, snug fitting, functional kit. After a couple of rides in the kit, one long one short, I have to say, I’m impressed. 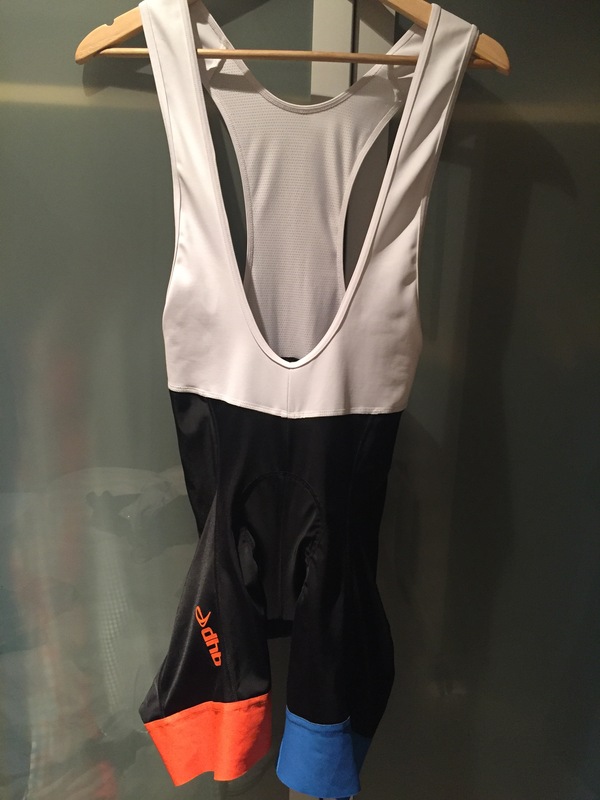 I’ve got an old pair of DhB shorts and after I bought a pair of Castelli shorts I realised what fit was, the old DhB kit had a saggy chamois and the leg grips didn’t grip, they also became wrinkly and ill fitting. 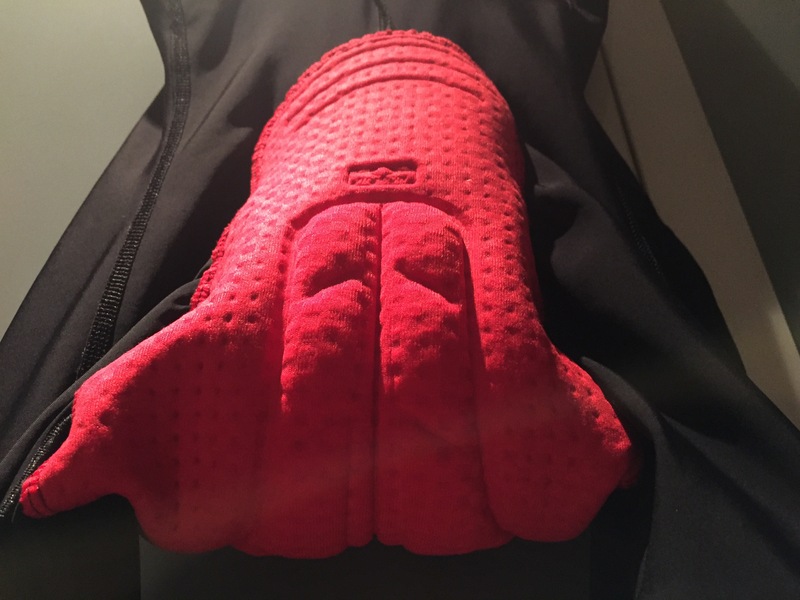 Now if you were to blindfold me and put that pair of Castelli shorts and these new DhB Blok shorts, I don’t know if I’d know the difference – until of course, it came to the ride but cycling blindfolded is dangerous and not advised. The over the shoulder straps don’t tug on the shorts making them ride up, nor are they flapping loose. They offer a really good balance of flex and support. My only slight niggle on the fit is the fitting around the waist, I’m not exactly tubby with a 31″ waist but I did feel this was where the bub shorts were just a bit tight. Yeah – it is actually, especially for the shorter rides, for a 15 mile commute these things are ideal! However, towards the end of the 15 miles and going a bit further, I did experience my first ever need for chamois cream. I could feel the chamois starting to rub, on the backside of the chamois… To put it bluntly, the chamois was starting to sneak in to my crack, near the top. That’s one thing I did think about the chamois, it’s long. It came up almost near my belly button and went all the way back. The fabric is a silky, stretchy, lovely bit of lycra. Very breathable and wicks away sweat amazingly well. At no point in my riding did I feel cold because the kit was sopping wet and didn’t dry quick enough. I always felt a good comfy temperature though out. Now – I don’t shave my legs, so I know that the leg grip on shorts can get very clingy and pull. Not these fellas though, they stayed right where they were needed, not any pulling not discomfort on that part. I was well impressed. Would I buy a pair? Absolutely, without a second thought. DhB have played a blinder here, no longer is their kit unfashionable, saggy, ill fitting and cheap. It looks great, fits nicely and is very reasonably priced. If you’re looking for some kit to go to spin classes in, commute to work in or just to get yourself in to cycling, get yourself some of this kit. It’s durable, breathable and exceedingly handy! I really do recommend them for the first time rider, you won’t get a better pair for a better price. Cycling really needs to shake off this whole “I can’t take you seriously you’re in cheap clothes” mentality. It’s not that elitist. You can ride a bike when you’re stone broke and you can ride a bike if you’ve got more money that Bernie Ecclestone. If you see someone out in DhB kit, you better not be looking down on them because you’ll be gutted when they go flying past you.